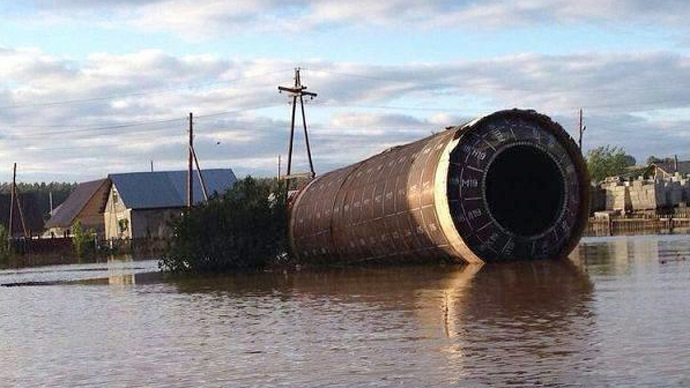 Only in Russia could a flood bring to your doorstep a huge intercontinental ballistic missile. Or at least that's what some Russian bloggers say, after a giant metal tube mysteriously appeared in an Altay village. 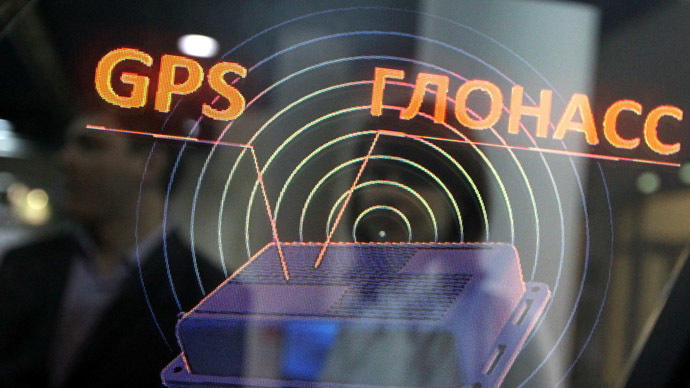 The discovery was made in the village of Malougrenyevo in Altay's Biysky region. 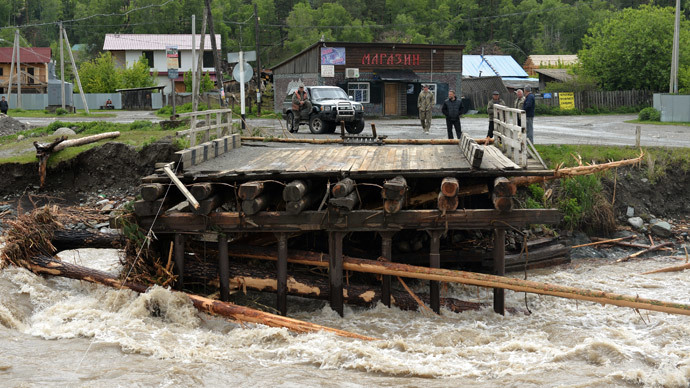 The border region located in the south of Western Siberia is currently suffering from a serious flood. The water brought the metal construction to the home of a local traffic policeman, leaving him and his neighbors puzzled over what exactly it was. Different theories quickly circulated, with the most popular saying that its origin was stellar. Occasionally rockets launched from the Baikonur Cosmodrome in Kazakhstan fly over this region of Russia. 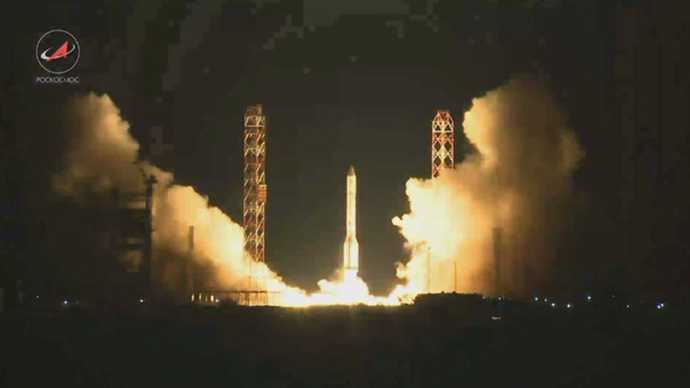 Some village residents came to a conclusion that it must be a spent rocket stage, possibly from the botched May Proton-M launch. The absence of burn marks or a rocket engine led others to suggest another version. They said it was part of a decommissioned intercontinental ballistic missile, allegedly buried somewhere nearby. The flood waters must have unearthed it and brought to Malougrenyevo, they said. 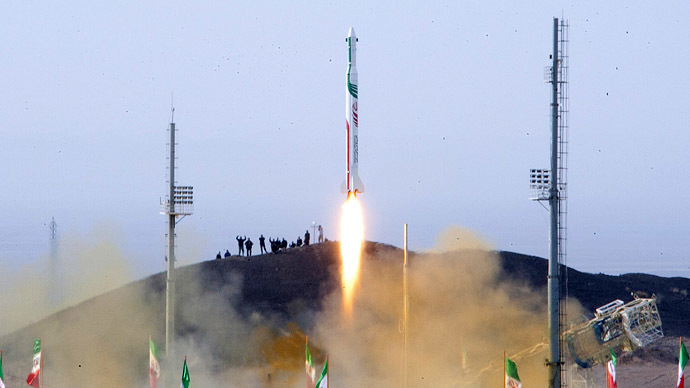 Speculation quickly arose over how toxic and dangerous the “missile” might be, especially after photos of the tube went viral on the Internet. The general consensus said it must be very dangerous and that the authorities are certain to cover up their blunder now. The truth appears to be less exciting. In the OTN news video Aleksey Yaskin, professor of the rocket engines department, explains: "With my many years of experience working with such objects, I can responsibly say that this is an empty body of a rocket engine, presumably left from the Soviet times on the territory of the Biysk chemical plant. As it's an empty body with no fuel in it, it poses neither public nor technical danger. Such tanks may be handy in households as water collecting and storage containers, or - if dug into the ground - can be used as a sewerage facility." A local government official told Sibnet.ru news website that there was nothing mysterious about the tube, which actual belong to a local resident. “He wanted to use this object to store water. Found it at a dump and brought it to his garden. No rocket stages fell on us. The police are dealing with that find, but only because it was brought by water to a police officer,” Popov said. But there could be a grain of truth about the rocket origin of the tube. Space experts identified it as an intercontinental ballistic missile fuel tank. A chemical plant in Biysk, the largest city in the area, used to fill them with rocket fuel and after the defense ministry cut its orders in the early 1990s, the plant had plenty of such tanks stored. She added the family may auction out the container now that it became famous. Heavy rains caused excessive floods in Russia's southern Siberia earlier this month, causing a state of emergency in several regions. Around 12,000 people were evacuated from their homes. The Altai region suffered the most. Earlier last week over 6700 houses and almost 7000 homestead lands were flooded, and water levels were going down slower than in the neighboring territories. The Koksa River washed out roads, leaving over 14,000 residents isolated. Malougrenyevo residents are now also more concerned with the flood than with wondering about the surprise find. There are some 2,500 people living in the village and most of them had to abandon their homes due to the disaster. Nevertheless the “rocket” gave those staying a few laughs. They called the two dogs who traveled in it Belka and Strelka after the famous dogs, who were the first animals to travel into the orbit and safely return home at the dawn of the space era.